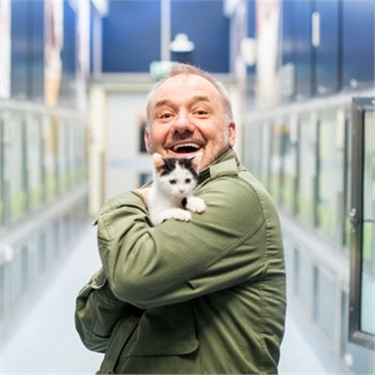 Cat-loving comic Bob Mortimer paid a visit to Cats Protection’s National Adoption Centre on Friday to meet unwanted cats looking for their perfect homes in time for Valentine’s Day. 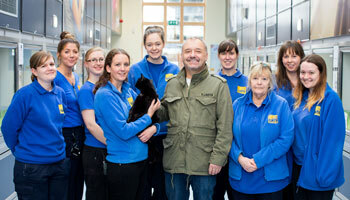 Bob, who found fame as one half of comic legendary duo Vic and Bob, is a big cat fan and even has two moggies of his own. Last year, he began making up funny cat names and jokingly ‘selling’ them on Twitter. The names were then made into striking feline-themed artwork, created by online gift company Wordynumnum.